Despite most Internet apps running small operations, MapMyFitness is hardly small from an employee standpoint. As of Tuesday it counted 101 employees, with 31 employees in Denver, and another 70 employees at its headquarters in Austin, Texas. 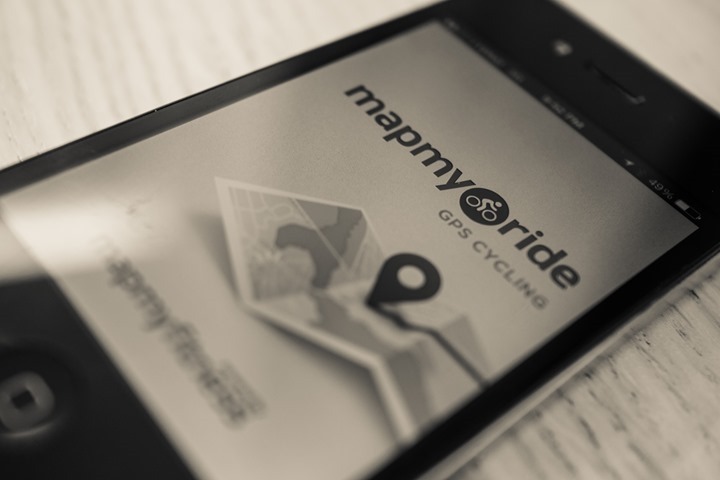 The company was founded by now-CEO Robin Thurston, along with co-founder Kevin Callahan,who originally built MapMyRide (Robin), and MapMyRun (Kevin) back in 2007. Before the apps, it was just the site. I’m sure many runners remember the first few times using the site to map out their run distances ahead and following runs – in the days before GPS watches were more commonplace. In 2008 they released their first iPhone apps to track fitness activities, MapMyRun and MapMyRide. While the apps have been enormously popular, it never quite gained the same ‘trendy’ status that apps like RunKeeper did – likely due to the fact that RunKeeper was in different Silicon Valley-esque circles at the time. Meanwhile, the platform side of the equation had been there from just about day one, when they opened up their API for a project around Accelerade. Since then some they’ve amassed 300 partners that use the platform. Many of these are apps you’ve never heard of however, but there are certainly some big ones I’ll talk about in a moment. 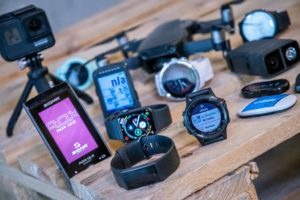 From a device upload compatibility standpoint, they started off with support for Garmin and Polar devices, such as uploads of completed workouts and later, sending directions to Garmin units. Today, they support a staggering 400 compatible devices and apps. Outside of the platform itself, they’ve continued to release apps in new markets. There’s literally a MapMy_Fill_in_the_Blank app for just about everything: MapMyWalk, MapMyHike, MapMyDogWalk. Personally, I’m just waiting for a MapMyThingsICan’tInMyHouseFind app. For the end consumer of the app and website today, I wouldn’t expect much to change going forward. And MapMyFitness re-iterated that multiple times during the acquisition. They plan to run the entity as-is from a branding standpoint – at least for the foreseeable future. But, as you’ll see, it’s not about the consumer here. In the sports technology world, most companies eventually come to a fork in the road when looking at their product development plans. That fork is situated at the intersection of two choices. 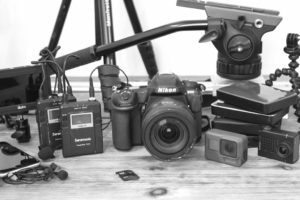 The first choice involves building out their own software platform for logging and analyzing the various activities that the device they’re about to build ultimately records. The second choice is to outsource that work to a 3rd party company that has a pre-built platform that can be customized. While there are no doubt various 3rd party players in the business, at the end of the day almost everyone ends up at the doorstep of one company: MapMyFitness. Counted amongst device companies that use a branded variant of their backend platform are TomTom and CycleOps (PowerTap). 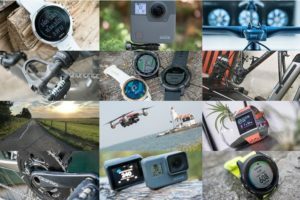 When push comes to shove, there’s really only a handful of companies out there that actually own their own platforms, such as Magellan, and Garmin. To consumers, MapMyFitness is best known for their MapMyRide and MapMyRun phone and web applications, which record data using just the phone and allow you to plot out routes ahead of time. They have consistently sat at or near the top of any application sale or installation metric you can find. But ultimately, MapMyFitness isn’t really in it for just consumers. No doubt they boast 20 million registered users, and 700,000 daily active users – but users on a largely free service don’t pay the bills alone. Instead, an unknown portion of that user base comes from the partnerships. In talking with Robin, he would only quantify it as a “very important” piece of their revenue stream. 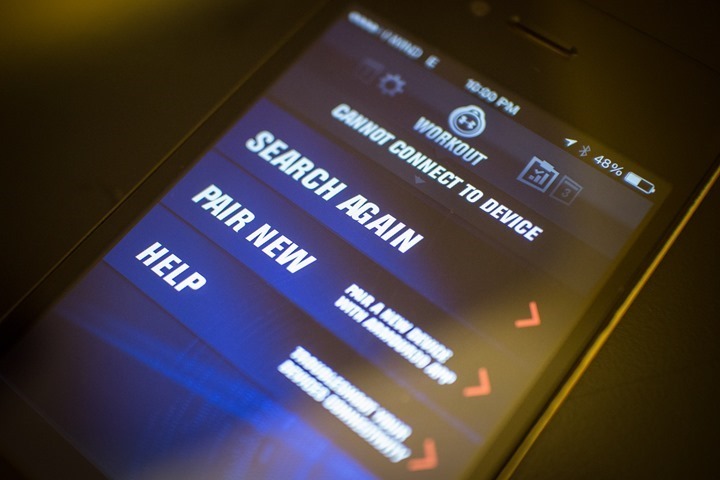 The remaining would come from both ads on the MapMyFitness platform as well as the premium MapMyFitness components. One might wonder why Under Armour would then pull out it’s likely non-frequent-flyer earning credit card and pay $150 Million for the platform. Well, there’s at least two important reasons at play here. First is the obvious move of simply buying a platform rather than building their own. While sport tracking sites may seem simple on the surface, virtually every company in the space has learned (the hard way), that sport technology users are a feisty, diverse and demanding bunch. Sorta like the activities they pursue. It’s not as simple as just showing how far you went and how long it took. It takes years to develop a platform that has the features that users from Dog Walkers to Olympic athletes will actually use. In this case, they were able to short circuit that development. But that doesn’t justify the cost of the acquisition alone. No, the second reason is probably more important. In the current cloud service provider world, it’s all about user numbers and platform stickiness. He who controls the platform controls the message to the users – in this case some 9 million monthly active users. More importantly though, even when companies offer ways to move between platforms (as some do), it’s still hard to do and one of the biggest reasons that users stay tied to a single device manufacturer today. As we become more and more dependent on services hosted ‘in the cloud’, we ultimately subconsciously tie ourselves to those services – even when we don’t realize it at the moment. And by owning the platform, that means that when it comes time for Under Armour to release a device of its own – it’s now positioned directly in front of those users to offer that device and make their ‘transition’…seamless. Robin points to the acquisition as enabling them to focus on Under Armour’s UA39 integration, noting that him and his team will further lead Under Armour’s digital direction for the company moving forward. This makes sense, given MapMyFitness has far better brand recognition and platform experience in the sports technology space than Under Armour does. And once you combine that with the street cred that Under Armour has with gym occupants (even if just in apparel), it should make for a good launching point for both parties into the connected indoor and apparel space. But it’s the partner piece that I believe gets tricky. Actually, more like sticky. 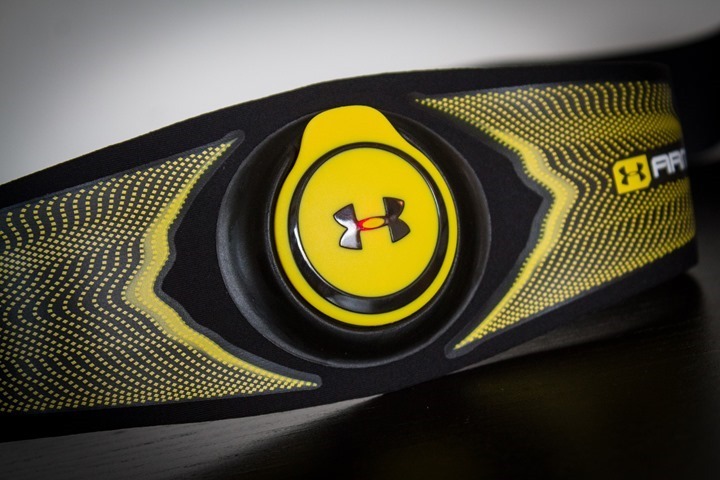 But one would have to be unfamiliar with the market to believe that Under Armour isn’t planning on breaking into the hot GPS sports watch and related market. In fact, they’ve touted a variant of that over the past year – sans the GPS, but clearly a watch (activity monitor + heart rate strap + watch). Looking at the big players in the sports apparel market, all have brought devices to market over the past few years: Nike (Nike+ GPS), Adidas (Adidas SmartRun GPS), and now Under Armour with the UA39. And that’s ignoring the legacy players of Garmin, Timex, Polar, and many others. While some might consider that line of thinking overkill, you have to remember this is an intensely competitive market where every little edge means the difference between a product flop and a success. Big and small companies alike would kill to know what features a device maker is planning 8-12 months out. And unlike companies working in the military sector, or even in some financial sectors – that can rely on internal firewalling between departments, that doesn’t work in this case. The entire premise of MapMyFitness is the platform. A single platform is how they make their business model work. Small tweaks on the front end supported by a standardized backend. You must have standardization on the backend to scale, and that standardization requires communication between product teams. So while the revenue stream today for MapMyFitness is heavily partner based, I’d have to believe that they don’t expect that to be the case long term. Smaller partners that are primarily software driven will be more likely to stay on, but larger partners making devices such as TomTom I’d have to imagine are already looking at their next steps to ensure they can develop products without giving away a competitive edge. Thus, it’ll be an interesting 12-18 months to see the direction of not only Under Armour and its new-found business unit, but also, those other companies that are intertwined into the platform. Good and thoughtful article. As a user of several systems over the years I hadn’t really realised that so many of them had the common heritage of MapMy* (I remember the website original). I will question your analysis of the partner/competitor platform issue though. 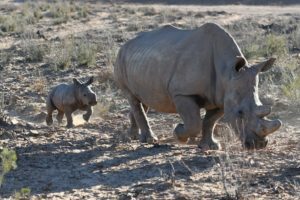 I have had some experience in running a similar platform for many years, offexploring.com, and “white labelling” it for several large travel companies. In these cases we were able to provide a high degree of separation between platform users. CompanyX’s subscribers were separate from CompanyY’s for the most part, smaller partners users were pooled and available to all who were in that class. It is entirely possible to do this effectively. But and I admit it’s a bug but, the difference here is that the platform operator is one of the “competitors” or competing partners, however you want to call it. Contractually I’d be surprised if they had access to all the subscribers. What happens now is going to be interesting. Yes, in the hosting space you can generally do either ‘shared’ spaces (using security restrictions or the like to separate out tenants), or you can do ‘isolated’ spaces – basically creating a seperate instance of the service for each tenant. The challenge though is that behind the scenes they share the same architecture (allowing scale). Once you customize, that falls apart. We know that they use shared instances in most (if not all cases) because I didn’t have a create a new account for TomTom, but rather used my older account. So, where do you see the MapMyFitness partner companies going? Is there an alternative already in place, or will they have to build/tweak their own platform? In addition, it’s incredible how many GPS watch/device options are available. 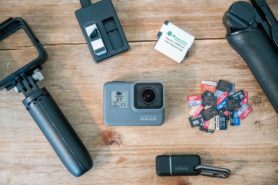 I still haven’t found my particular end-all-be-all device, but the increased competition, I believe, is driving manufacturers to make devices with the features I want. Thanks and run strong this weekend!!! I think you’ll see a blend. I think big companies will likely consider more deeply building their own. But I think platforms like Strava could be a player. 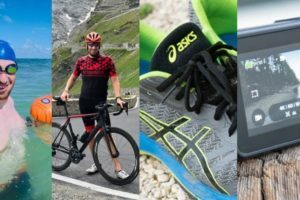 Strava though has historically stated they don’t want to get into the customization game however, either for devices or file formats. In their ideal world everyone would be on formats like .FIT, .GPX, etc.. which are well known. You could look to companies like TrainingPeaks, and we saw that happen with Timex and the Global Trainer/Run Trainer. The challenge with TP though is that it doesn’t appeal as well as users new to sports tracking. So they’d have to change things around a bit once they finish up releasing their new site design in the next few weeks. Great article. Thanks for the thoughtful analysis. There are so many companies out there. Would be interesting to know who the big players are. I had no idea MapMyF was the backbone. Request: can you publish (or point to) a top 10 list or index of the major hardware and software players? I ask b/c I’m always buying the latest gadget (like most of your readers, I’m sure) and it would be nice to know if my gadget is supported by a company w resources and user base to survive long term. 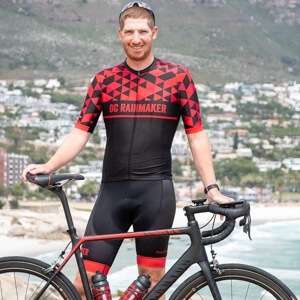 I’ve got accounts w MapMyF, garmin connect, wahoo, and strava (and probably others I’ve forgotten about.). It’s like the early days of online photo sharing…. I have various albums at kodakgallery, snapfish, adobe, Facebook, etc.. And it would be smarter to pick ONE. But which one? Is it Betamax or VHS, or the Zune, Android or iPhone? *posted by iPhone 5, while riding a NJ transit train, using their new online ticketing app. I think Tapiriik and ones like it are cool. 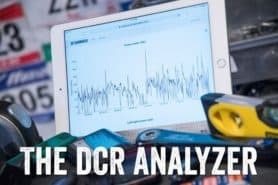 In the case of both it and CopyMySports.com, my biggest complaint is lack of TrainingPeaks compatibility, which makes it less useful for me. That said, I like both services. I do get worried though that platforms may look to shut down that type of connectivity though down the road. In the same way airlines have made steps in recent months to shut off sites that consolidate and notify users of award seat connectivity. In a lot of cases, if the end-platform is never seen, then that means less revenue opportunities (ads, sell-through, etc…) for the company (which, they tend to dislike). Interesting, this has brought MMF back to my thoughts, as I get disenfranchised with the ‘developments’ of Strava. The continued and buggy development and constant loss of useful features caused me to turn my back on MMR a few years ago. I think you’ll see more development going forward as they expand into new spaces with new products and have to ensure that the web side keeps us. Further, the announcement of doing corporate wellness programs now will also drive some of that too. For the higher knowledge user like your readership I don’t think there needs to be a common link between device and back end web service. The best device and the best back end web service are vary rarely the same for a given users scenario. The device manufacturers need to stick to making the best devices they can and make it easy to integrate with lots of web services and not try and restrict access to just there inferior web service. The web services people need to make there web site the best possible providing easy upload capabilities for the device manufacturers to target. They should keep away from the device market. Of course it all breaks as the average user is not so knowledgeable and ends up compromised in terms of device and back end service. Ray, thanks for the analysis. Robin and the MMF team are to be commended for building a great company worthy of this acquisition. In knowing Robin and his team over the years, I’ve seen that one of their core strengths is in revenue generation. They’re likely profitable, while their competitors are likely not profitable and are still in growth stage, using up their venture capital. I suspect that this was part of the reason why Under Armour chose MMF. The last thing a public company wants is for their acquisition to be dragging down earnings. Their reported user numbers are interesting: 20 million registered users, 9 million monthly users, and 700,000 daily users. If an active user works out three times a week, the odds of a workout occurring today is 3/7 or 43%. This implies they should have 3.8 million daily active users. Said another way, according to this metric, their average user works out every 12.8 days (9 million monthly / 700,000 daily.) Put one final way, this could imply attrition. Our industry is rife with ambiguous use of the “user” metric. RunKeeper claims 26 million users, which could be a download, or could be someone who has entered an email address, or could be someone who has logged a single workout. While this is a big number, what does it actually mean? It would be great for you to do an blog post researching these reported stats. Our industry needs some standard way to discuss how big these communities are, and your in-depth approach would help. It would be interesting to know which upload services have the most market share. I would guess it is Run Keeper, Strava and Edomondo (probably in that order) but it would be interesting to know. Ray, you could run a survey and with your sample size being very large it would probably be pretty close to the actual market share. It might skew a little to the more elite althelite but still should be in the general ballpark. If you do be sure to allow for multiple selections since many of us use more than one service. Good insight. The next couple of years are going to be transitional in the category. Interesting 60 minutes last night with Jeff Bezos and Amazon’s Cloud business. The model of the future.